Having already seen the Broadway proshot and heard the cast album too many times to count, I had extremely high hopes for Memphis, and I wasn’t disappointed. The show only played its first public performance just over a week ago, and it’s still in previews right now, but my god, everything was perfect! The cast…oh, the cast was incredible. Killian Donnelly played Huey Calhoun, a young man from Memphis who became the ‘first white man to play rhythm and blues for a mainstream audience’. Although his character is fictional, he is based on real DJs from the 1950s. Killian Donnelly’s performance was just outstanding, he was so endearing and adorable and I loved his characterisation. It was VERY different to Chad Kimball’s take on the role, but equally enjoyable. He gave an extraordinarily strong performance throughout the show, but his rendition of Huey’s big act 2 number Memphis Lives in Me was just something else entirely! It was truly one of the most outstanding live performances I’ve ever heard in my life. Donnelly’s voice is so powerful and emotive and characterful too! I could listen him sing that song over and over again (hint hint…West End cast album request!). Playing opposite Killian Donnelly, in the role of beautiful young singer Felicia Farrell was Beverley Knight. I really liked Beverley’s voice already, and have a soft spot for her because she’s from a place very close to where my parents come from, but I had no idea how outstanding her acting was. Oh my gosh she was extraordinary. I LOVED her take on Felicia, because she was so strong and so determined. Her performance of Coloured Woman was just breath-taking, literally. I didn’t dare even blink through it because I was scared I’d miss some little detail of her performance. I literally couldn’t keep my eyes off her. She also had an outstanding number of outfits, and her Felicia always looked so lovely. I was in love with every costume she wore! Music-wise, I was just in love with everything about the music prior to seeing it, but hearing all the songs performed live with a totally different cast is obviously a very different experience. Wow, the music is good… It’s fun, it’s catchy, it fits the period in which the piece is set and each song captures the tone of the scene in which it is performed perfectly! If you haven’t, go and listen to the cast album right now!!! 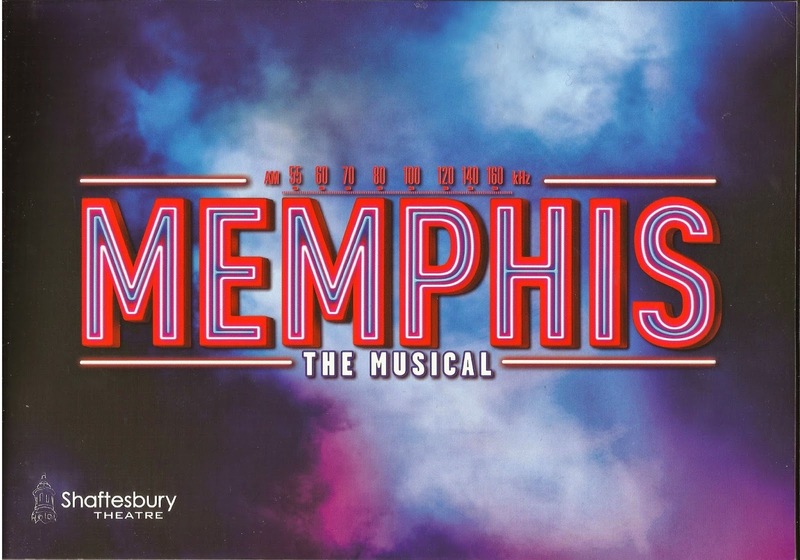 Memphis is now open at the Shaftsbury Theatre, and I recommend you buy your tickets asap, because I predict that it wont be long until Memphis is a firm favourite with theatre enthusiasts and casual fans alike!